I usually forget to take a lunch break when I am working from home so the thought of actually dining solo at an actual restaurant last Friday whilst working from home seemed positively decadent. As part of my current 9 to 5 job I sometimes travel to far flung parts of the world and that necessitates getting a visa. As I had to collect my passport from the Indonesian embassy around lunchtime I thought today I should treat myself to lunch in the Paris sunshine. I knew just the place I wanted to try. A bijou fish restaurant in the 3rd arrondissement that I had stumbled across whilst trying to find le cafe des chats in the adjacent rue charlot. That’s the thing about Paris – it’s a hidden treasure trove of well treasures for this perennial lost girl with a gps! So I spotted, photographed and filed it as a place I wanted to come back and try: L’Ilot or The Island! 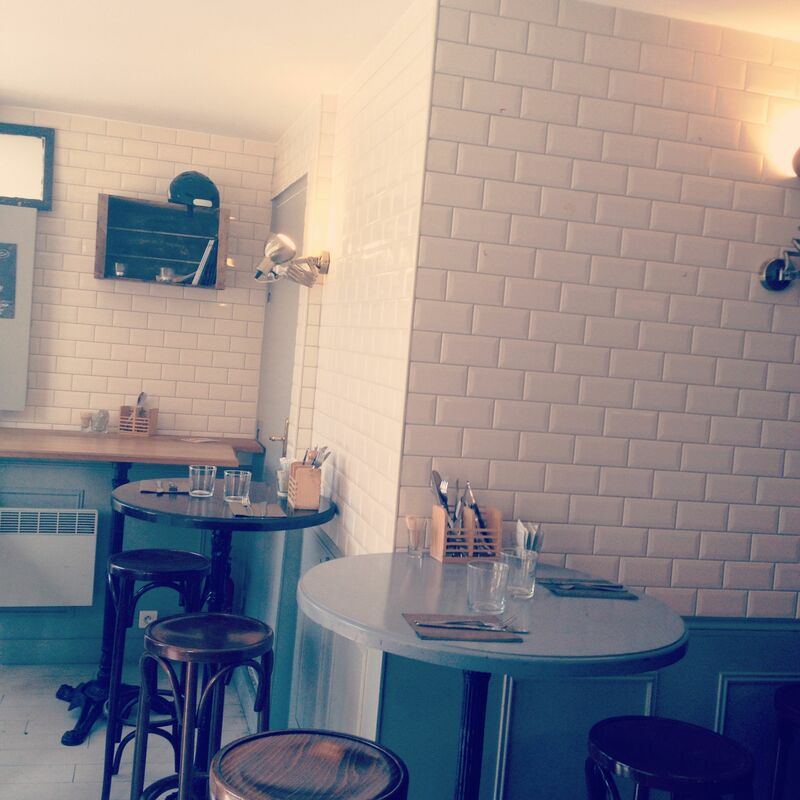 L’Ilot is located off the busy rue charlot in haut marais by a small square. It does feel a little like a tranquil island. The restaurant itself is tiny reminiscent of a small cabin on the beach, I hazard a guess at Brittany, with whitewashed floorboards, bar stools and four or five tables inside. The walls are covered in that glorious white Parisian metro tiling to add to the light airy feel of the place. The restaurant inside is a little L shape with a small serving hatch in the far wall with the kitchen hidden behind. It almost feels as if L’Ilot was air lifted from the Brittany coast and plonked on the corner of the square in Paris. 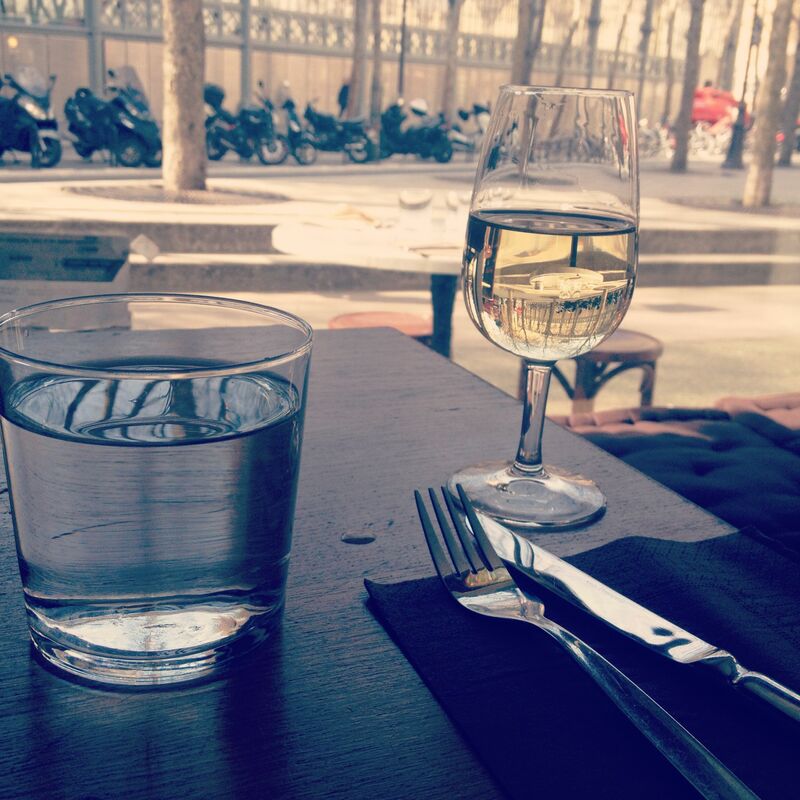 Given the glorious early Spring like weather Paris experienced on Friday four tables were set up outside. I arrived at the perfect time for lunch 12.30pm and given an incredibly warm greeting when I said I was here to eat on my own. No problem the waitress said and offered me my pick of tables both inside and out. I opted for inside even though the first rays of early Spring sun felt like being gently caressed by a lover the wind did not. I perched myself on a stool from where I could survey the rest of the restaurant and watch the comings and goings outside. The stools are high and ordinarily I would have had reservations of sitting at a table on a stool but it felt perfectly in keeping with the surroundings and after the first 10 minutes I completely forgot that I was sitting on a stool rather than a chair and didn’t miss the chair back in the slightest. The menu is a mixture of fish and shellfish dishes. 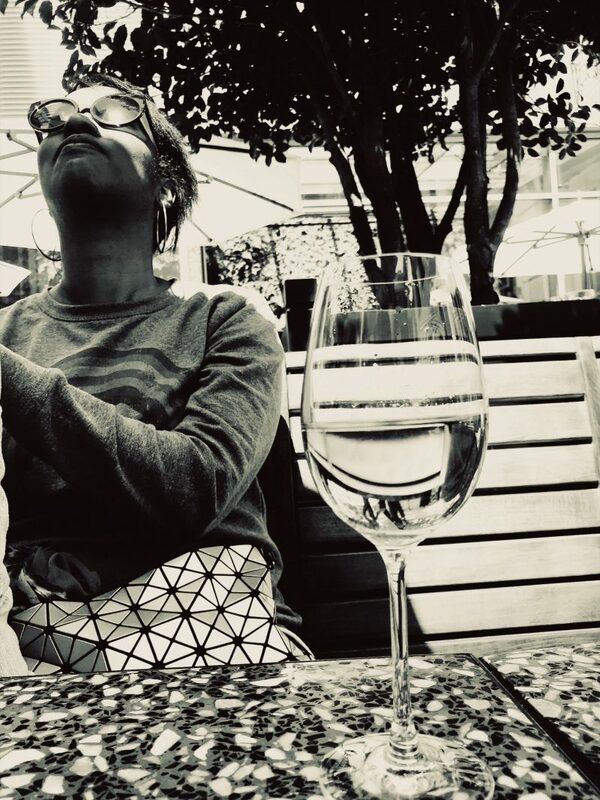 Whilst the ceviche caught my eye, I decided to go for the set lunch menu of steamed cod in a tarragon sauce with freshly made carrot and potato puree and served with a glass of cold, crisp picpoul. The wine was served quickly with a complimentary carafe of water. As I waited for my lunch, I sat and watched as the tables both inside and out quickly filled up. This place gets busy very quickly. 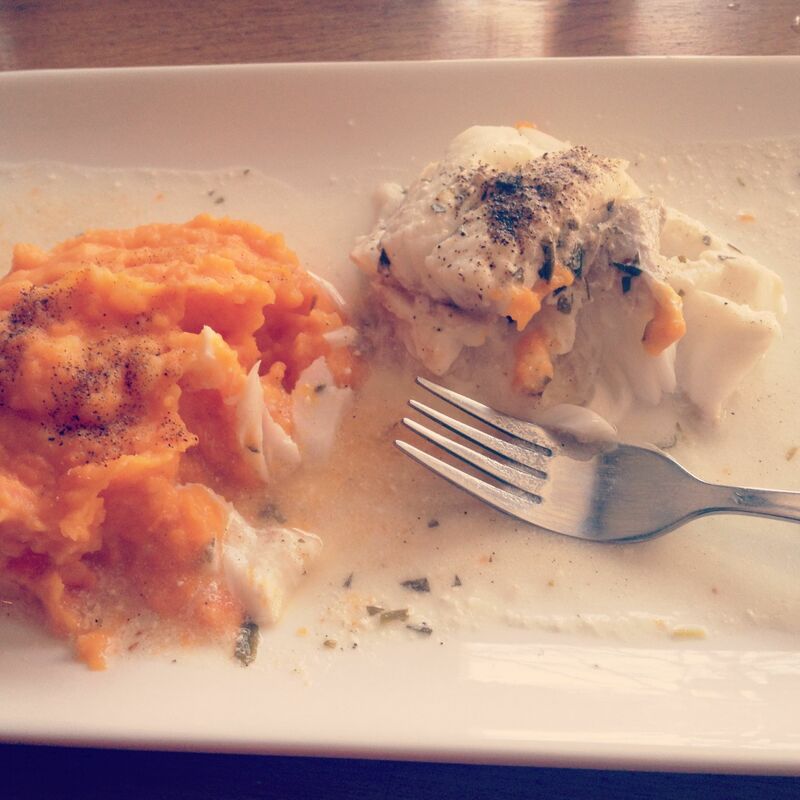 When my dish came, it was sublime, the cod steamed to perfection and the puree: a happy balance of carrot and potato not completely smooth but with a few chunks of carrots left in. The fish was wonderfully fresh and if I had one observation to make the sauce was a little salty. Having said that, I find that the French are a lover of salt even more so than the English so I would hate for that to put anyone off from coming here. The dish was sublime and my taste buds are quite sensitive. In any event better for the food to be seasoned than be bland – quelle horreur! The fish here was fresh, flaky, soft and the portion generous – un vrai régal/ a real delight. I couldn’t manage dessert but I wasn’t ready to leave this bejeweled isle just yet so to extend the experience by ordering a coffee. 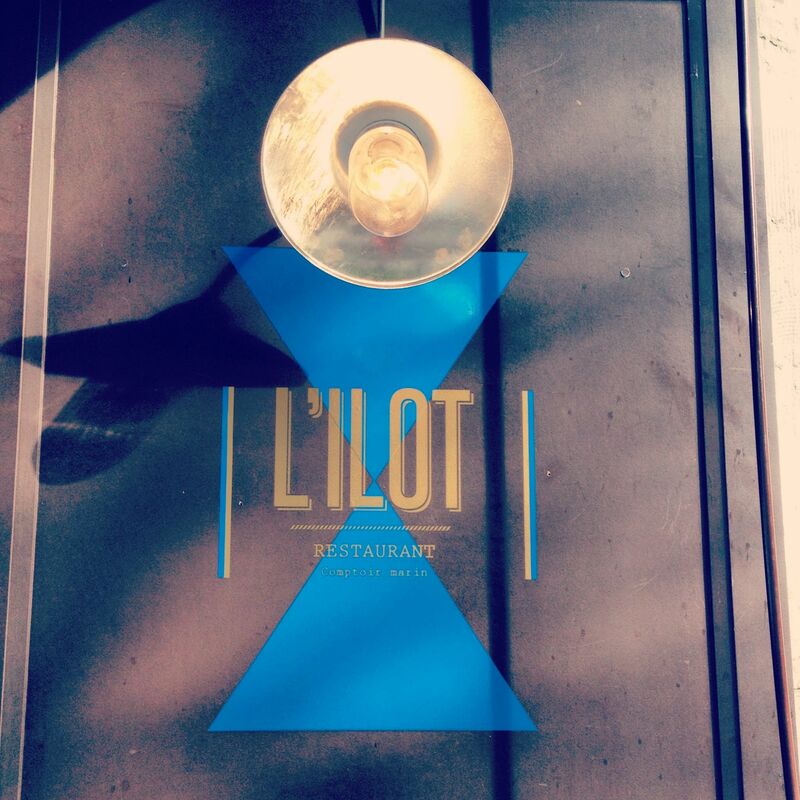 I certainly recommend L’Ilot serving the freshest fish I have tasted in Paris for a while. How do you tell a good fish restaurant – it’s closed on a Sunday and Monday as fisherman don’t fish on Sundays!